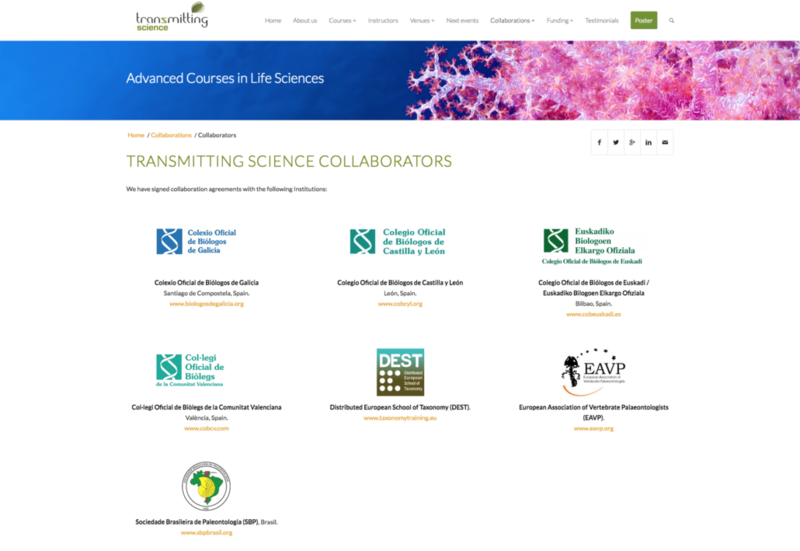 Transmitting Science is a company specialized in courses and workshops related to Life Sciences. They asked us to work on: Web Design and Prototyping Interface design (UI), User experience and web usability (UX), Optimization site (SEO), Custom WordPress Development and Custom Theme Development. We evaluated the current site, analyzed the architectural information, coming up with tips to improve the navigability. 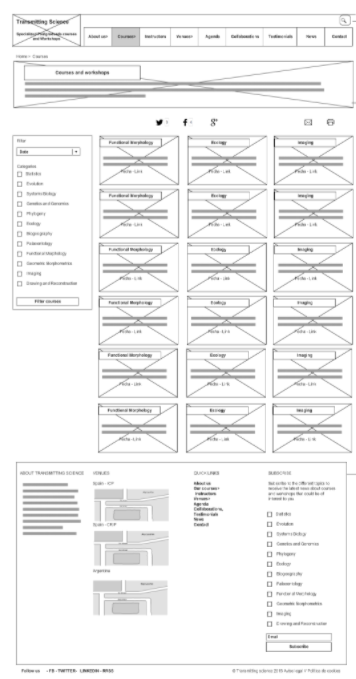 To define the new Trasnmittingscience.org site we created wireframes and prototyped the most important layouts from the site: home, courses, agenda, news and about us. 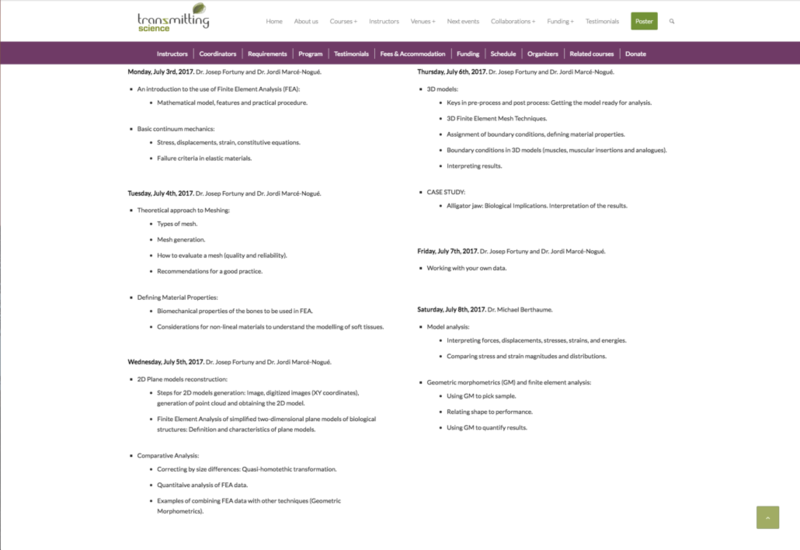 We defined the most important layouts from the site: home, courses, agenda, news and about us. Also, we analyzed Google Analytics and Google Search Console to review the behaviour of users, engagement, keyword research, etc..
Then we defined the WordPress functions, SWOT analysis and defined objectives, content and a technological solution. We proposed to create a new site to improve all the points we detected in our consultancy. We designed a responsive web based on a WordPress theme, with a fresh look ‘n’ feel. We reviewed all the graphic material and created new guidelines. We also trained our client to manage the content and site. Get better WordPress with features adapted to our client. Improve SEO KPI’s: Increase the organic traffic and leads in spite of a migration website and URLs. 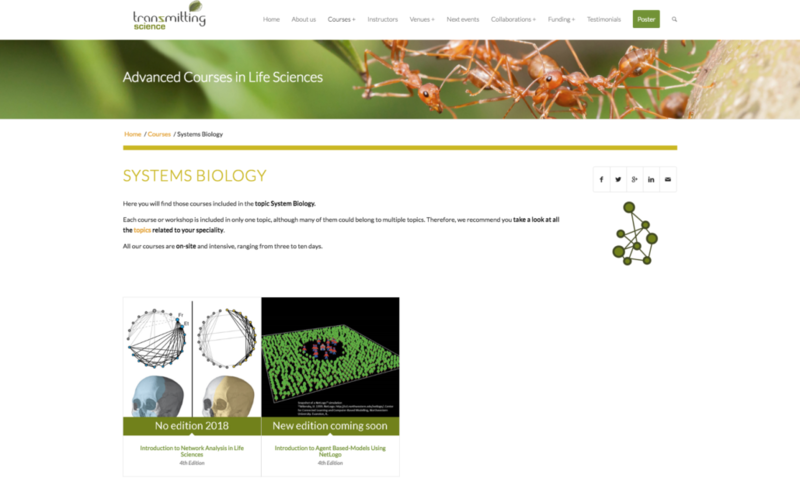 Do you want a fully customized WordPress theme similar as our work with Transmitting science?